According to unconfirmed information, this church emerged as an annex for Björksta church a few miles to the south east. A wooden church is said to have existed here as early as the 1000’s. Disagreement exists as to when it was replaced by the current church in stone. The most common belief is that it was built in the latter part of the 1200’s. During the 1470’s and 1480’s the church ceiling was fitted with the current three stellar vaults of brick, replacing the earlier wooden barrel vault. Sometime during the 1500’s, the church’s arches were decorated with frescoes by an unknown master. A lightning strike in 1577 burned the church roof and the bell tower, destroying the 3 bells. The vaults survived, but the paintings were damaged. A renovation took place between 1780-1781 when a porch on the south side was demolished and a new entrance raised at the western end. The windows were enlarged to their present size. 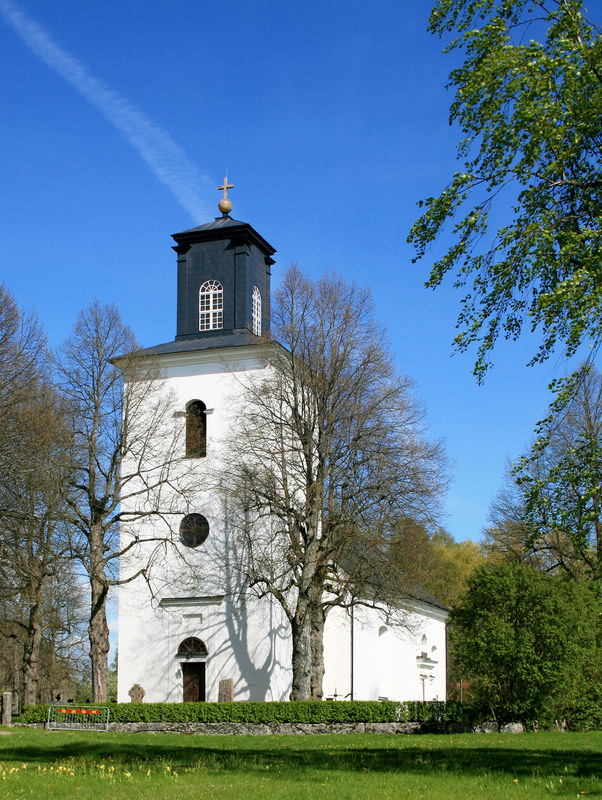 Between 1824 and 1826 the church tower, designed by CD Björk, was erected.